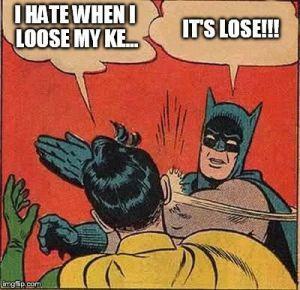 I hate when I loose my ke... It's lose!! !